Expensive loans in California can force you into bankruptcy! If you think "payday" loans are bad, consider a loan of $5,000 that requires you to pay back $42,000. Yes, that can happen in California. How can that happen? California has rules governing payday loans and interest-rate limits for installment loans of less than $2,500, but has no limit on the amount of interest on loans of $2,500 or more. So a $5,000 loan might have a payment schedule of $500 per month for seven years for a total of $42,000. That's an interest rate of 120%. And some loans are worse than that. These loans are available online, making it easy for someone in need of money to quickly sign up and get one of these very expensive loans. So what should you do? • Do not get one of these very expensive loans. Read the terms of a loan before agreeing to it. • If you already have one or more of these and can't pay them back, it may be that filing bankruptcy would be a good thing for you. Get a consultation (many are free) with an experienced bankruptcy attorney in your area to find out if bankruptcy would work for you. Hello! 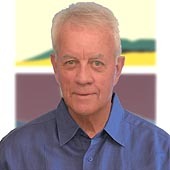 I'm Malcolm Ruthven, a California bankruptcy lawyer serving Marin, Sonoma, San Francisco, Napa, Solono, Alameda, Contra Costa, and San Mateo counties. Explore this website and see what a Fresh Start might mean for you. We are a debt relief agency. We help people file for bankruptcy under the Bankruptcy Code. Sending or receiving information through this site does not create an attorney-client relationship.